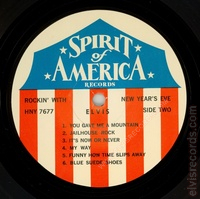 Cover Front: Blue with American flag border. 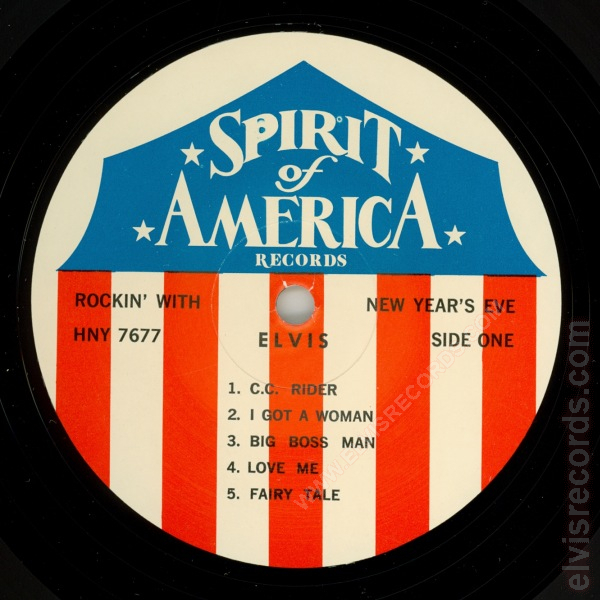 Features five pictures of Elvis. Deluxe 2-Record Set and Elvis on top. Title wrapped around center image. 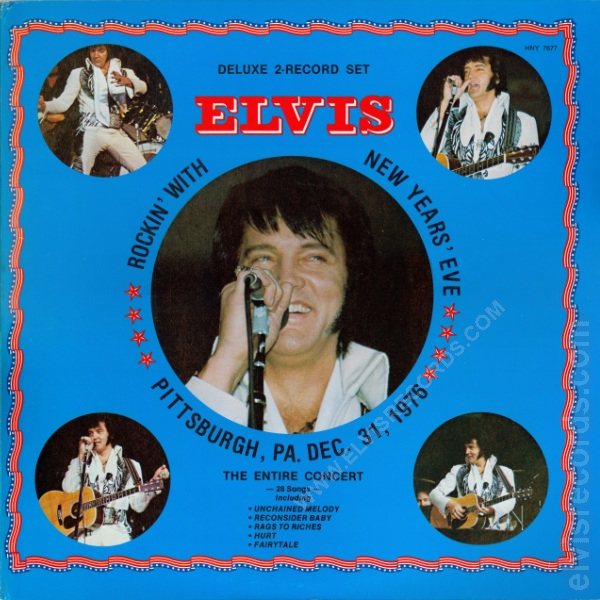 Date of the show, Pittsburgh, PA. Dec. 31, 1976. 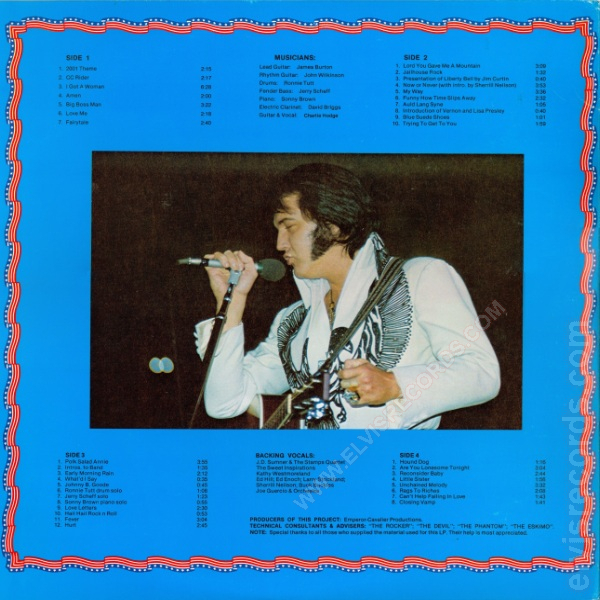 Cover Back: Blue with American flag border. 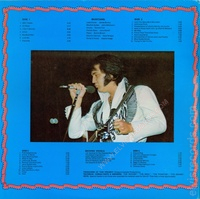 Features a picture of Elvis centered. 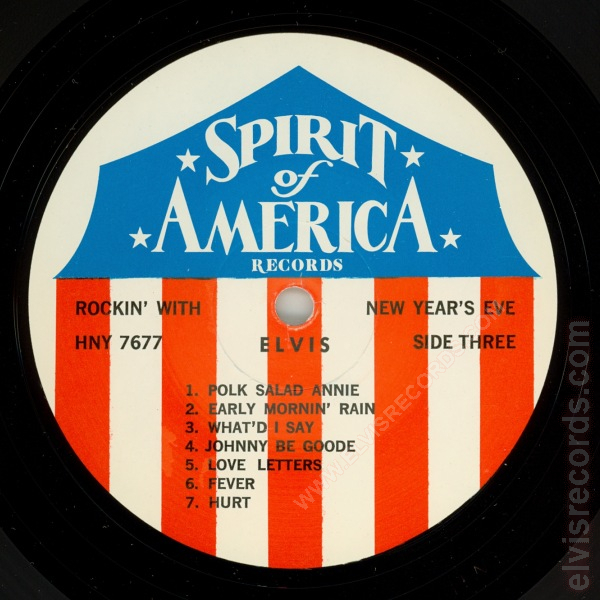 Song titles top and bottom. 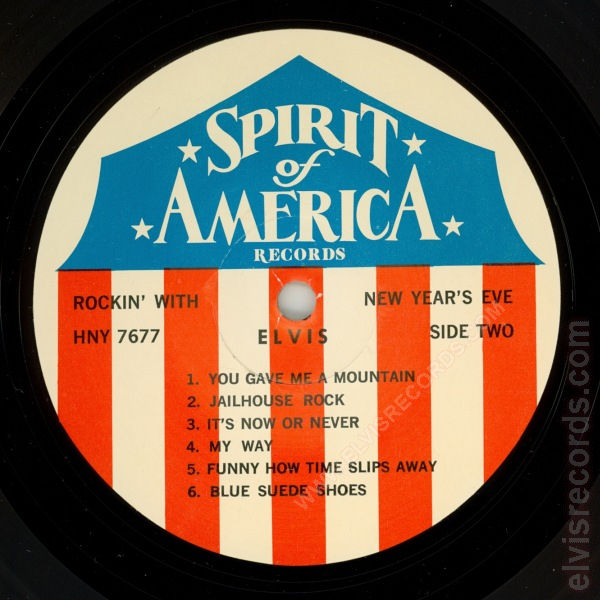 Gatefold: Blue with American flag border. More pictures of Elvis and content about the show. Disc: Red, white, and blue label. 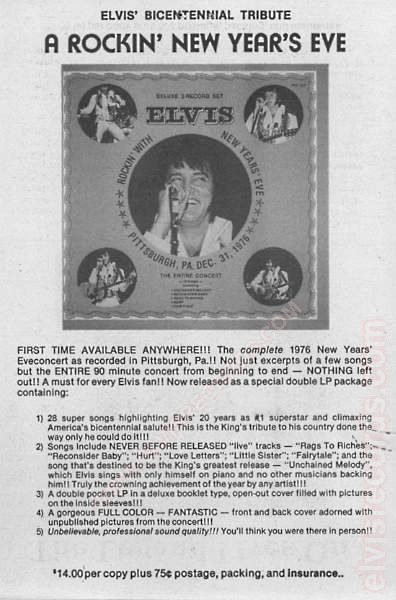 A one page advertisement Elvis' Bicentennial Tribute. 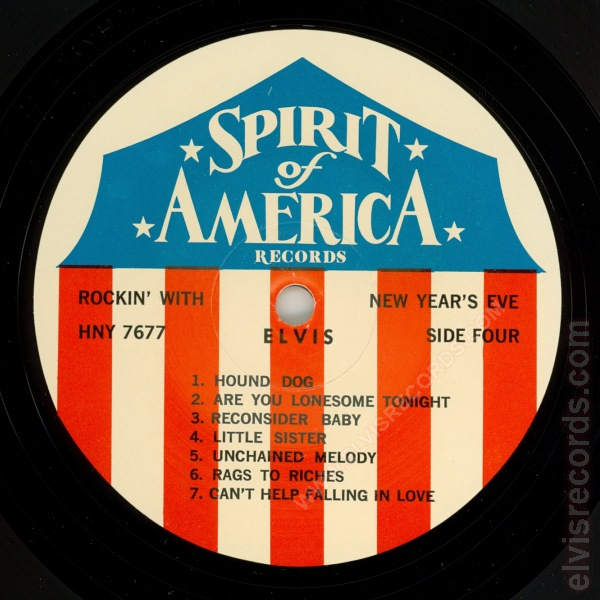 A Rockin' New Year's Eve. $9.00 per copy plus 80 cents postage, packing, and insurance. 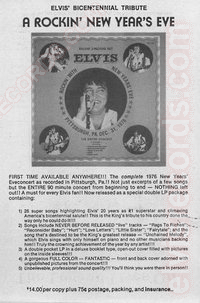 This and other advertisments were sent out by Vic Colonna just days before August 16, 1977.